Egypt's Supreme Judicial Council has agreed to oversee referendum on draft constitution following the country’s highest court open-ended strike, thus overriding calls for a boycott. The highest judicial authority agreed that it would delegate its judges to monitor the constitutional referendum, which is slated on December 15. 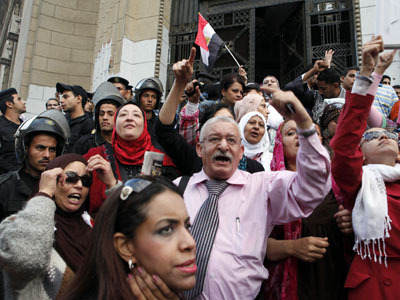 Mohamed Gadallah, Morsi’s legal adviser, estimates that up to 10,000 people may be needed to supervise the vote. 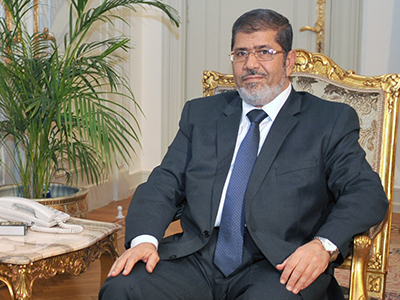 However, some of the judges in Egypt had announced that they will not be supervising the voting on the constitution in protest of the president's decree issued on 22 November, which gave Morsi a temporary expansion of his powers. Back then the Supreme Judicial Council responded to the decree with criticism, calling it an "unprecedented attack" and saying that “never in the history of modern Egypt has there been a president who gave himself so many powers." The Judges' Club board, an influential body representing Egyptian judges called on its members Sunday not to oversee the December 15 referendum. On Sunday the Supreme Constitutional Court (SCC) suspended its work independently of the latest announcement due to “psychological and material pressure” as Islamist protesters prevented judges from entering the Supreme Court. The judges were to hand down their crucial decision on the legitimacy of the assembly that drafted a new constitution following a boycott by liberals, leftists and Christians. It was also to examine the authority of the Islamist-dominated senate, the only remaining elected legislative body after the parliament was dissolved by the court. 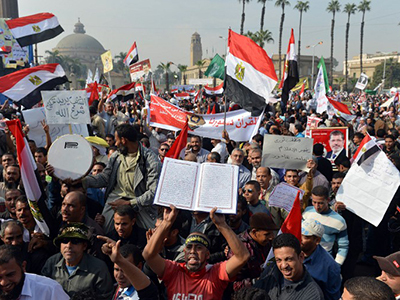 Anti-Morsi groups and parties vowed to gather at Cairo's Tahrir Square on Tuesday to protest against both the constitution and the referendum. Opposition groups accuse Morsi of breaking his promise not to hold a referendum on the draft constitution until gaining wide national support. 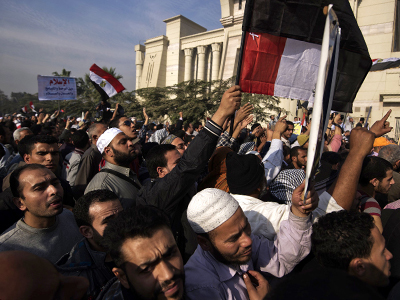 They also claim that the president put the interests of the ruling Muslim Brotherhood party ahead of those of the people.